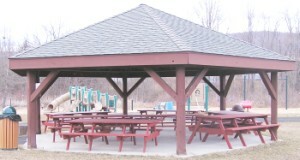 The Rye Township Community Park is located at 1799 New Valley Road, just to the west of the Township Office. Clem Bauer Memorial Ball field. The Marysville VFW Softball Team maintains the ball field and uses it for practices and games. An individual may use the field when there is not a game or practice scheduled. Contact to schedule to reserve the ball field. Ralph Turner, (717) 877-6117. Completed in 2002 in memory of 20 month old Neal Graham Stager of Marysville, this playground features two age-appropriate play systems for children ages 2 through 5 and 5 through 14, featuring slides, tunnels, swings and crawling apparatus. 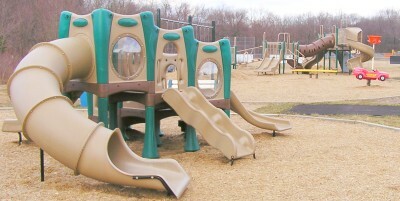 In addition to the play equipment, the playground also included walkways, safety surface, accessibility for people with disabilities and other site improvements. Take a walk in the woods and use the exercise station to loosen up your muscles. 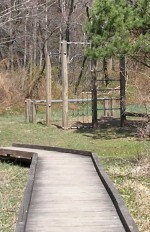 Older children will also find a jungle gym to climb and explore.